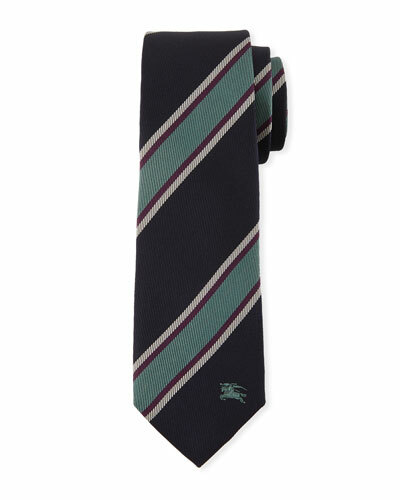 Nothing looks sharper than the buttoned-up bravado of a perfectly knotted Burberry men’s tie. All eyes zero-in on that singular stretch of fabric that so beautifully pulls a look together. At Neiman Marcus, you’ll find Burberry ties that allow for individual expressions of style, from subtle tonal patterns to rich, brilliant checks. Like a beautiful sonnet, jazz riff, and weekend in the country, Burberry men’s neckwear in a signature check affirms your appreciation for the classics. For quiet rebel hearts, ties in unusual prints communicate something entirely different, a confident disregard for business as usual. 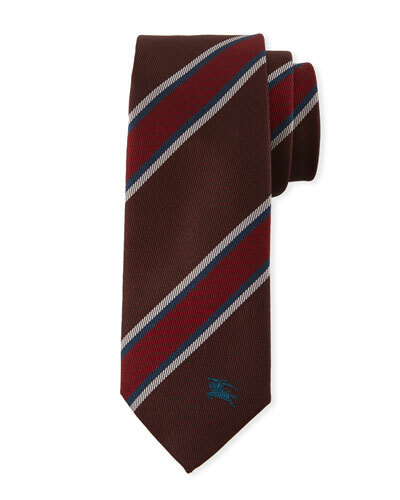 With Burberry ties, it’s easy to transform a tailored suit or add a dash of unexpected flair to a jacket. 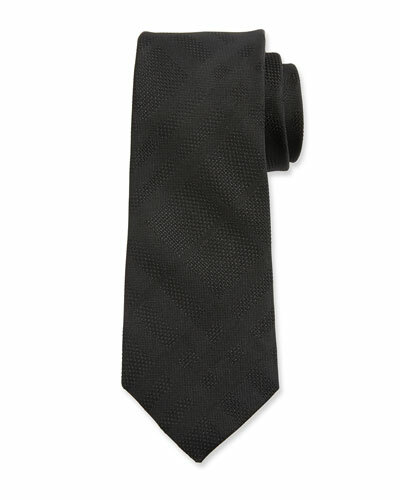 Exquisitely crafted in Europe from the finest silks and wool blends, Burberry neckties are the perfect finishing touch. 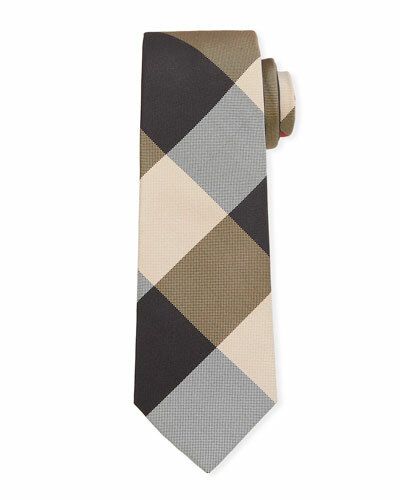 Complete your look today with a new Burberry tie from Neiman Marcus.